Comment: Obtaining a Declaratory Judgment Under CERCLA: Should the Past Control The Future? Comments Off on Comment: Obtaining a Declaratory Judgment Under CERCLA: Should the Past Control The Future? Congress enacted the Comprehensive Environmental Response, Compensation, and Liability Act (“CERCLA”) to address and remedy the improper disposal of toxic and hazardous wastes. Since its enactment, CERCLA has been highly criticized for its ostensibly high transaction costs, its strict liability scheme, and the expensive cleanup costs associated with the program. Yet CERCLA purports to encourage private parties who had no part in improper disposal to clean up hazardous waste in a cost-effective manner and to then seek reimbursement of these response costs from the responsible party. By bifurcating the issues of liability and damages in a recovery response action, CERCLA seeks to prevent relitigation of issues by allowing for a declaration of liability, relegating the complicated issue of damages to a later stage in the litigation. Section 113(g)(2) provides for mandatory declaratory relief in a CERCLA action. Circuits are split on whether a private party plaintiff can seek a declaratory judgment for future liability without successfully proving costs incurred under section 107(a). This Comment considers the far-reaching consequences of such a prerequisite to declaratory relief. 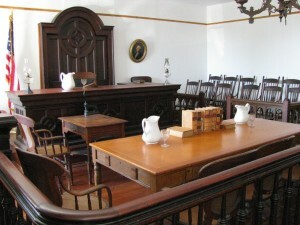 In order to consider whether a plaintiff can seek declaratory relief based solely on future liability, Part I explores whether such claims are truly ripe, whether the federal courts have subject matter jurisdiction over these claims, and finally, whether a declaratory judgment should be awarded under CERCLA’s declaratory relief provision or under the Declaratory Judgment Act. Part II presents the United States Courts of Appeals’ divergent approaches to the question of declaratory relief for future liability. Finally, Part III argues that the statutory language and remedial purposes of CERCLA justify allowing declaratory relief based only on future liability. In CERCLA actions, federal courts have inconsistently applied either the Declaratory Judgment Act or section 113(g)(2), CERCLA’s more specific provision for declaratory relief. Whether one statute or the other controls is especially important for a plaintiff seeking a declaratory judgment based solely on future liability. If the Declaratory Judgment Act applies, a plaintiff is unable to obtain declaratory relief because the Declaratory Judgment Act cannot alone confer subject matter jurisdiction on a federal court, and the court must dismiss the claim. Thus, the plaintiff’s declaratory relief claim must be predicated on CERCLA. For a federal court to even consider a plaintiff’s request for a declaratory judgment, the court must not only have subject matter jurisdiction; the claim must also be ripe. As discussed below, federal courts have confused the analysis of ripeness with the discussion of awarding declaratory relief. First, this Part gives an overview of recovering past response costs under section 107(a) for private plaintiffs, as well as obtaining declaratory relief under section 113(g)(2). Next, this Part illustrates why plaintiffs continue to argue for declaratory relief pursuant to the Declaratory Judgment Act, and why federal courts continue to muddle their analyses of declaratory relief. (1) the site on which the hazardous substances are contained is a “facility” under CERCLA’s definition of that term, (2) a “release” or “threatened release” of any “hazardous substance” from the facility has occurred, (3) such “release” or “threatened release” has caused the plaintiff to incur response costs that were “necessary” and “consistent with the national contingency plan,” and (4) the defendant is within one of four classes of persons subject to the liability provisions of Section 107(a). After the Superfund Amendments and Reauthorization Act of 1986 (“SARA”), PRPs can seek contribution under section 113(f) “from other parties that have helped create a hazardous waste problem” at the contaminated site. Section 113(f) allows a PRP to seek contribution from other “PRPs with common liability stemming from an action instituted under § 106 or § 107(a).” While the standard for seeking contribution is identical to the standard for proving response costs under section 107(a), the statutory language of section 113(f) is “silent on whether declaratory judgments are authorized in contribution actions.” Circuit courts have typically recognized that declaratory relief is permissible in contribution actions because it “is consistent with the broader purposes of CERCLA.” These broader purposes include managing the “massive and wasteful” litigation that often results in the environmental context. Importantly, courts typically refuse to find that future costs are too speculative to support a declaratory judgment. What is less clear is whether a plaintiff can seek a declaratory judgment for future liability without establishing a prima facie case under section 107(a). This question first requires consideration of whether the Declaratory Judgment Act controls CERCLA actions. If only the Declaratory Judgment Act applies—rather than CERCLA’s specific declaratory relief provision—a federal court will not have subject matter jurisdiction to consider the question of future liability unless a plaintiff can prove he is entitled to cost recovery under section 107(a). Second, this question requires a look at how courts have interpreted the language of section 113(g)(2), which specifically provides for declaratory relief in a section 107(a) cost-recovery action and—by implication of the courts—in section 113(f) contribution actions. Courts’ divergent interpretations illustrate that the language of section 113(g)(2) is not entirely unambiguous. As a result, some circuits require a finding of section 107(a) liability as a prerequisite for a declaratory judgment, while others conclude that a declaration of future liability requires no proof of costs already incurred. In the context of contribution, the First, Ninth, and Tenth Circuits, “have taken the position . . . that § 9613(g)(2), the declaratory judgment provision of CERCLA, applies to § 9613(f) contribution actions for both past and future response costs.” The First Circuit, in United States v. Davis, considered the applicability of the Declaratory Judgment Act “only because [it applies], at least by implication, to the availability of declaratory relief under § 9613(g)(2).” In section 107(a) actions, most courts rely solely on the language of section 113(g)(2) to grant declaratory relief. Since section 113(g)(2) compels the court to issue a declaratory judgment for future liability, courts usually issue declaratory relief pursuant to this “mandatory” language. In contribution actions, it is not specifically stated in either section 113(g)(2) or section 113(f) whether declaratory relief is even allowed. While some courts apply the language of section 113(g)(2) to contribution actions, other courts find that the Declaratory Judgment Act controls for contribution actions because no specific relief is pronounced in the statute. Why do plaintiffs continue to argue for relief pursuant to the Declaratory Judgment Act when CERCLA specifically provides for declaratory relief in section 113(g)(2)? For one thing, not all courts have limited the analysis of declaratory relief to the language of section 113(g)(2). To illustrate this inconsistency, the Ninth Circuit has referenced the Declaratory Judgment Act in their analysis of CERCLA claims, stating that “[j]urisdiction to award declaratory relief exists only in ‘a case of actual controversy.’” Even in United States v. Davis, the First Circuit considered appellants’ arguments that “there is no case or controversy between the parties.” Since this “case or controversy” language is prevalent in plaintiff’s requests for declaratory relief in most other contexts, courts tend to consider arguments invoking the Declaratory Judgment Act in addition to those based upon section 113(g)(2). In order for a court to even consider a plaintiff’s claim for declaratory relief, the claim must be ripe—a requirement that may trigger an analysis of the Declaratory Judgment Act’s “case or controversy” language. This “case or controversy” language is closely linked with an action’s ripeness, and ripeness is particularly relevant when seeking declaratory relief because a court may be reluctant to exercise one of its traditionally discretionary powers without an actual controversy before the court. The Declaratory Judgment Act requires a “case or controversy” because courts want to resolve actual controversies between parties having adverse legal interests as opposed to issuing advisory opinions. According to the Supreme Court, the Declaratory Judgment Act is derived from the “case or controversy” requirement of Article III of the Constitution. Ripeness, a related doctrine, “is about more than just the immediacy of the controversy, but about whether the controversy can be settled now.” Therefore, courts may also borrow language from the Declaratory Judgment Act when awarding declaratory relief because it helps the courts consider declaratory relief from the perspective of ripeness. None of these cases imposed any requirement that a party incur recoverable—i.e., necessary and [national contingency plan]-compliant—response costs before its claim for declaratory relief is ripe. Indeed, our cases make clear that so long as there has been a release of hazardous substances, and the plaintiff spends some money responding to it, a claim for declaratory relief is ripe for review. Another Ninth Circuit case explained that “[a]s soon as [the plaintiff] expended its first dollar, it could have sued . . . and sought a declaratory judgment.” Thus, once this essential step occurs—an expenditure of any amount, including nominal costs—the case is ripe, and an actual controversy concerning adverse legal interests is established, allowing judicial review. By considering whether a “case or controversy” is before the court, federal courts are confusing the separate notions of ripeness and declaratory relief. Ripeness is not based in the Declaratory Judgment Act—it is founded in Article III. Since section 113(g)(2) makes no mention of a “case or controversy” requirement, the use of such language should be limited to the analysis of ripeness. As will be discussed below, the Declaratory Judgment Act has no place in CERCLA, except arguably in the context of contribution, and as a result, a “case or controversy” is only required as far as is needed to satisfy the justiciability doctrine of ripeness. Not only must a plaintiff establish ripeness, the federal court must also have subject matter jurisdiction over the case. This is extremely important for a plaintiff who seeks only declaratory relief as to future liability. The Ninth Circuit’s opinion in American Promotional Events sheds light on the inter-related questions of whether a court has subject matter jurisdiction and whether declaratory relief is awarded based on the Declaratory Judgment Act or on section 113(g)(2). In American Promotional Events, the court considered whether “the district court’s disposal of [plaintiff’s] CERCLA past response cost-recovery claims deprived the court of subject matter jurisdiction.” The court pointed out that “the Declaratory Judgment Act does not itself confer federal subject matter jurisdiction,” and that it is considered “an additional remedy in cases in which jurisdiction is otherwise established.” If a plaintiff cannot prove past recovery costs, but still seeks a declaratory judgment, the plaintiff cannot rely on the Declaratory Judgment Act to confer jurisdiction. A plaintiff’s declaratory relief claim must be “predicated on CERCLA.” So long as the plaintiff’s claim is “non-frivolous,” it “suffices to establish federal question jurisdiction, even if that claim is later dismissed on the merits.” Thus, even though a plaintiff cannot establish section 107(a) cost recovery, the plaintiff should claim declaratory relief pursuant to the federal statute rather than the Declaratory Judgment Act. Should the court dismiss the plaintiff’s section 107(a) claim, the court can then consider the declaratory judgment claim under the federal statute, even if the section 107(a) claim is dismissed on the merits. Otherwise, the court is required to dismiss the remaining claim since the Declaratory Judgment Act itself cannot confer subject matter jurisdiction on the court. This implies that subject matter jurisdiction is not an insurmountable barrier for a plaintiff arguing for declaratory relief, even when that plaintiff fails to prove costs incurred under section 107(a). When a plaintiff seeks only declaratory relief based on future liability, the plaintiff’s claim must be based on CERCLA itself; otherwise, the court will have to dismiss the claim if it is based on the Declaratory Judgment Act. As discussed above, courts have inconsistently applied the Declaratory Judgment Act in CERCLA actions. The American Promotional Events opinion offers the most insight into this problem, considering specifically whether the Declaratory Judgment Act governs CERCLA actions or whether section 113(g)(2) controls. Even though “Colton’s complaint referred to the Declaratory Judgment Act rather than CERCLA section 113(g)(2),” the Ninth Circuit found that “the latter provision clearly governs this initial cost-recovery action.” Concluding that section 113(g)(2) qualifies as a “more detailed declaratory relief provision,” the court went on to analyze the plaintiff’s claim for declaratory relief under section 113(g)(2). This rule was formulated in Hinck v. United States, in which the Supreme Court held that “in most contexts, ‘a precisely drawn, detailed statute pre-empts more general remedies’”—a holding “guided by [the Court’s] past recognition that when Congress enacts a specific remedy when no remedy was previously recognized . . . the remedy provided is generally regarded as exclusive.” This finding does appear to support the Ninth Circuit’s decision in American Promotional Events that declaratory relief pursuant to section 113(g)(2) should be the “exclusive” remedy, considering that such a remedy did not exist until Congress passed CERCLA. Despite a plaintiff’s best attempt to use the Declaratory Judgment Act, it is actually in his best interest to argue for declaratory relief pursuant to section 113(g)(2) of CERCLA, especially when the plaintiff is only arguing for a declaratory judgment regarding future liability. While the court’s willingness to hear claims based on the Declaratory Judgment Act depends upon the jurisdiction, it seems that in most contexts, section 113(g)(2) is the safest way to establish that the federal court has subject matter jurisdiction over the claim. It appears the Declaratory Judgment Act is most relevant in contribution actions in which the court may not allow declaratory relief to rest upon section 113(g)(2), and therefore, in this context, a plaintiff may want to argue for a declaratory judgment based on both section 113(g)(2) and the Declaratory Judgment Act. But for private party plaintiffs seeking declaratory relief based only on future liability, the plaintiff should predicate the claim on section 113(g)(2) in order to establish that the federal court has subject matter jurisdiction over the case. In order to establish a prima facie case of cost recovery under section 107(a), a plaintiff must satisfy four elements. If one of the four elements is not satisfied, a plaintiff recovers nothing. This Part explores whether a plaintiff also must satisfy these four elements in order to obtain a declaratory judgment for future liability. Circuit courts are divided on whether proof of past recovery is a sine qua non for obtaining declaratory relief regarding future costs. The language of section 113(g)(2) does not explicitly require proof of past recovery costs; however, courts have different justifications for this silence, if any justification at all. With limited statutory guidance, the federal courts are divided on whether allowing a declaratory judgment without proof of past recovery costs is consistent with CERCLA’s overall purpose to prevent relitigation of the same issues. The most recent and perhaps clearest iteration on this question is found in the Ninth Circuit’s opinion in City of Colton v. American Promotional Events. In American Promotional Events, the district court held that the city had failed to establish a prima facie case under section 107(a) because it could not show that the response costs were “necessary and consistent with the [national contingency plan].” The district court ruled that this precluded consideration of declaratory relief for future costs. While the Ninth Circuit noted that other federal courts of appeals have taken different approaches to this question, it ultimately affirmed, analyzing the question under section 113(g)(2). The Ninth Circuit first focused on the language of section 113(g)(2). It postulated that “‘liability for response costs’ must refer to the response costs sought in the initial cost recovery action, given that the sentence later refers to ‘any subsequent action or actions to recover further response costs.’” According to the court, such a reading permits a declaratory judgment for future cost-recovery actions only when a plaintiff has established cost recovery on “present liability” under section 107(a). By satisfying the elements of section 107(a), a plaintiff proves to the court that the defendant is presently liable, and therefore, must be declared liable for future response costs. The court supported this finding by appealing to an “elemental canon of statutory construction,” which states, “where a statute expressly provides a particular remedy or remedies, a court must be chary of reading others into it.” This canon supports the court’s conclusion that Congress created a statute that expressly grants a remedy for a specific plaintiff—one who has satisfied the elements of section 107(a). Otherwise, the court reasoned, Congress “could have provided that ‘the court shall enter a declaratory judgment on liability for further response costs.’” However, Congress did not, and the court found this reason enough to conclude that the language of section 113(g)(2) unambiguously requires a finding of section 107(a) cost recovery. The plaintiff convincingly argued that “CERCLA’s goal of encouraging private parties to clean up hazardous sites” supports granting declaratory relief solely based on future liability. Colton argued that precluding consideration of declaratory relief “would discourage private parties from taking future actions to clean up hazardous sites if they failed to comply with the [national contingency plan]” in their past actions. Yet the court was not persuaded by Colton’s argument because, the court reasoned, encouraging private response is not the exclusive goal of CERCLA. Rather, CERCLA’s goal is also to “make the party seeking response costs choose a cost-effective course of action” when considering how to clean up the waste. The court determined that “[p]roviding declaratory relief based on mere assurances of future compliance with the [national contingency plan] would create little incentive for parties to ensure that their initial cleanup efforts are on the right track.” The court refused to grant premature relief under CERCLA in order to prevent “perverse incentives.” According to the court, when a plaintiff has failed to show past response costs as consistent with the national contingency plan (“NCP”), granting a declaratory judgment for future liability would ultimately endorse action that is prohibited under section 107(a). The court also looked into the practicalities of granting declaratory relief in this limited situation. The court found that it would have to make “complicated determinations” about the allocation of responsibility among the responsible parties, with no assurance that the plaintiff would ever establish that costs incurred were necessary and consistent with the NCP. Therefore, the court found that “CERCLA’s purposes would be better served” if the plaintiff came “to court only after demonstrating its commitment to comply with the NCP and undertake a CERCLA-quality cleanup.” Even in the court’s holding, it is difficult to ignore the court’s reprimand of the city for its failure to comply with the NCP and expectation of a declaratory judgment from the court in return. In order to show why a plaintiff may fail to establish past cost recovery under section 107(a) and still seek a declaratory judgment as to future liability, some elaboration of the facts of American Promotional Events is required. The City of Colton began examining its municipal supply wells for perchlorate contamination. These wells drew water from the Rialto-Colton groundwater basin. The city found “concentrations ranging from about 4 to 10 micrograms per liter.” The California Department of Health Services (“CDHS”) had an “advisory action level” for perchlorate of four micrograms per liter. Because the action level was merely advisory, and not enforceable, the CDHS stated that the affected wells could still supply water in their current state. Colton decided otherwise, and treated the impacted wells for perchlorate contamination. Four million dollars later, Colton brought suit against industries located along the basin for reimbursement of treatment costs. The district court concluded that such costs were not necessary “because there was no immediate threat to the public health or environment” based on the unenforceable advisory action level. Four million dollars, of course, is small change compared to the fifty-five to seventy-five million dollars the basin-wide cleanup was estimated to eventually cost. Therefore, a declaration of future liability was incredibly important to Colton. The American Promotional Events opinion offers full insight into a court’s justification for precluding declaratory relief for this particular type of plaintiff. It displays a complete picture of what is required for a declaratory judgment under CERCLA: ripeness, subject matter jurisdiction, and the prerequisite of satisfying the requirements of section 107(a) to even obtain a section 113(g)(2) declaratory judgment, thereby illustrating the interconnectedness of all three requirements. It also settles the Declaratory Judgment Act confusion by determining that only section 113(g)(2) applies in a cost-recovery action. Colton failed to establish section 107(a) liability because its response costs were deemed not necessary and consistent with the NCP; it is important to remember, however, that this is only one of the requirements of section 107(a). 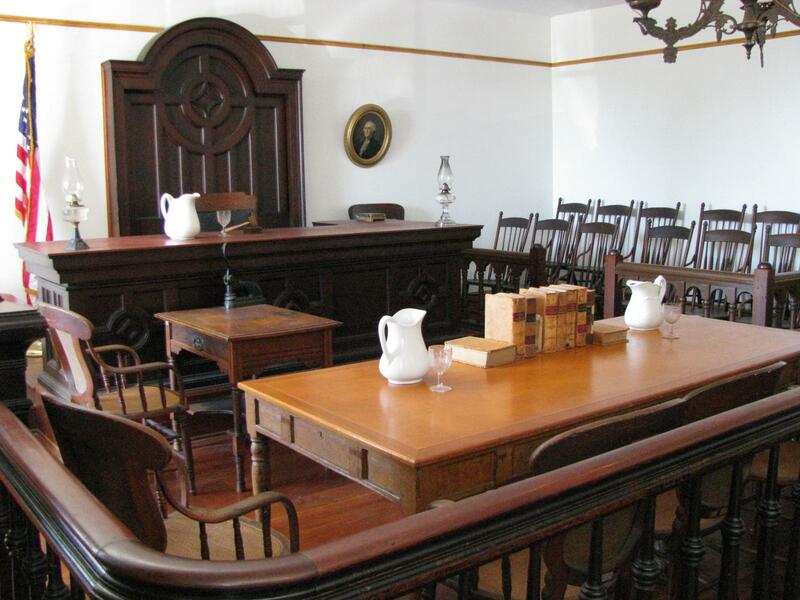 A plaintiff may fail to establish liability if he cannot prove the remaining requirements. It appears that the Ninth Circuit would still refuse to grant a declaratory judgment for a plaintiff failing to show that, for example, the defendant is within one of the four classes of persons subject to liability. The opinion does not appear to hinge upon Colton’s failure to comply with the NCP, but rather upon Colton’s failure to prove one of the essential elements under section 107(a). Yet, one of the most fiercely litigated elements of cost recovery under section 107(a) is the requirement that response costs are necessary and consistent with the NCP, which explains the element’s frequent reoccurrence in the case law. The Ninth Circuit is not the only court to consider the question of how a CERCLA plaintiff can receive declaratory relief for future liability. As the Ninth Circuit points out, the Second, Third, and Eighth Circuits have all concluded that section 113(g)(2) applies only after a plaintiff has incurred response costs and comes to court prepared to establish a prima facie case of cost recovery under section 107(a). While these opinions support the American Promotional Events holding, they offer little insight into why section 113(g)(2) unambiguously applies only when costs have already been incurred under section 107(a). These opinions are more significant for their holdings rather than for their analyses, as they devote limited attention to policy considerations raised by the private party plaintiffs. In Trimble v. Asarco, Inc., a putative class brought suit against Asarco—a lead smelter and refinery—for emitting lead and other particulates into the air. Asarco maintained that these particulates were not adverse to the public’s health. 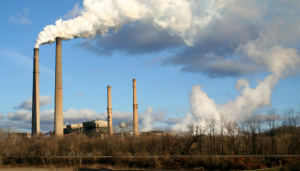 The district court ruled that it lacked subject matter jurisdiction over the claim because the plaintiffs failed to show that they had incurred response costs necessary and consistent with the NCP since the plaintiffs did not expend any of their own money to investigate the effects of Asarco’s emissions. The Eighth Circuit reinforced the generally accepted notion that a plaintiff does not have to actually pay for a cost in order to incur it. An incurred cost “may be based on an existing legal obligation.” The court found, however, that “the mere possibility, even the certainty, that an obligation to pay will arise in the future does not establish that a cost has been incurred, but rather establishes that a cost may be incurred or will be incurred.” The court refused to allow a plaintiff to obtain declaratory relief for future liability without having already incurred response costs under section 107(a). Much like the City of Colton, the Trimble plaintiffs made a policy argument that refusing declaratory relief would ultimately injure the plaintiffs, who would have to spend money or incur debt in order to begin the cleanup process or investigate the waste. The plaintiffs argued that such a finding would “deny those with the least financial resources access to CERCLA’s benefits.” But the Eighth Circuit responded that while it “recognize[d] a potential for inequality within the CERCLA private cost-recovery scheme,” it refused to allow this inequality to overcome the court’s interpretation of the statutory language. These three cases demonstrate that before American Promotional Events there was little discussion and justification for federal court determinations that declaratory relief pursuant to section 113(g)(2) require a showing of costs incurred under section 107(a). The other side of the conversation has been just as limited. In each of these cases, plaintiffs have argued against such a finding by looking to the broader purposes of CERCLA, especially encouraging private cleanup by the responsible party. For some courts, this argument has been persuasive. Both the First and Tenth Circuits have held that private party plaintiffs can obtain a declaratory judgment even when these plaintiffs fail to establish a prima facie case in a past cost-recovery action. In the First Circuit, the court formulated this rule in the context of contribution. Since establishing a cost-recovery action for contribution under section 113(f) is identical to establishing cost recovery under section 107(a), obtaining declaratory relief in both contexts will be treated interchangeably. In County Line Investment Co. v. Tinney, the Tenth Circuit determined that a plaintiff must prove that response costs are consistent with the NCP as an element of a section 107(a) claim. The court recognized two exceptions to this rule: (1) when “the factual record does not permit a determination of consistency with the NCP at the time the motion for summary judgment is filed”; and (2) when the plaintiff seeks only a declaration as to future liability for “future costs incurred consistent with the NCP.” Without further elaboration, the court cited two district court cases from New Jersey, discussed below. It appears that the Tenth Circuit found these exceptions rooted in the fact that the plaintiff can obtain a declaratory judgment as to liability, but in the future, the plaintiff will still have to prove that the future costs incurred were consistent with the NCP. For a defendant who is declared liable for future costs, there is still an escape hatch—if the future costs are not NCP consistent, then the costs are unrecoverable. The First Circuit addressed this issue in a contribution action in United States v. Davis. The court, having concluded that section 113(g)(2) applies in contribution actions, began its analysis by looking at the statute’s plain language. The court found that nothing in the language of section 113(g)(2) “precludes an interpretation that declaratory relief is available” for “future or past response costs.” Instead, the court determined that there is a “flexible time line” under section 113(f), in which a “defendant in a [section 107(a)] cost recovery action may initiate a contribution action before its own liability is established.” This same reasoning would apply to a defendant who has been found liable, and who seeks declaratory relief “before that liability has been fully discharged.” By comparing section 113(f) with section 113(g)(2), the court looked to the context of the statutory scheme and its purpose to conclude that the statute does not prohibit the award of declaratory relief for future liability only. Perhaps one distinction can be drawn here—in contribution actions, liability has already been established. A plaintiff has brought an action against the PRP, and has proven under section 107(a) that costs have been incurred. As a result, this responsible party has brought a contribution action. The First Circuit in Davis reasoned that this liable party could obtain declaratory relief for future costs incurred even when the party has not shown that it has incurred past response costs. The court went on to note that “allocation helps to alleviate the hardship that would be visited upon the [PRP] seeking contribution if that PRP was, in effect, required to finance the entire cleanup operation before getting a determination regarding the shares attributable to the other PRP’s.” If it is unfair for a liable party to incur all of the costs of the cleanup before obtaining declaratory relief, it appears that it is also unfair for an innocent private party to incur all of the cleanup costs before receiving a declaratory judgment. Thus, this case indicates that when a liable party—and by logical extension, an innocent party—seeks a declaratory judgment for future liability, the party does not have to prove past response costs. In two separate cases, the U.S. District Court for the District of New Jersey has also held that proving section 107(a) costs is not a prerequisite to obtaining declaratory relief as to future liability. In T & E Industries v. Safety Light Corp., the court determined it was precluded from “entering summary judgment as to specific amounts of the costs” incurred when the plaintiff had not proven that the costs were necessary and consistent with the NCP; however, it was not precluded from granting a declaratory judgment. The court disagreed with the defendant’s argument that such a declaratory judgment “is tantamount to writing a ‘blank check.’” The defendant was protected, according to the court, by the fact that the plaintiff would still have to prove that these future costs were NCP consistent, reiterating the Tenth Circuit’s justification for awarding declaratory relief. In Southland Corp. v. Ashland Oil, Inc., the district court again allowed declaratory relief, even when the liable plant had not yet started the cleanup process and was seeking contribution from another PRP. The court refused to find that the claim was premature. It supported this finding with the contention that declaratory relief is “consistent with CERCLA’s purpose of encouraging prompt remedial action.” While CERCLA’s overall purpose of encouraging quick and effective private party cleanup was not compelling enough for the Ninth Circuit, these circuit and district court opinions give some limited insight into why CERCLA’s purposes are better served by awarding declaratory relief for future liability only. These cases demonstrate that while federal courts have recognized that there is reason to award declaratory relief without first satisfying all of the elements of section 107(a), they have offered very little elaboration on why it should be allowed and when it should be granted. What is apparent from this case law is the important point that allowing declaratory relief under these circumstances is not without its limitations. The plaintiff will still have to show that future costs incurred are necessary and consistent with the NCP, a limitation that is not illusory. By focusing on the remedial purpose of the statute, and searching the plain language of section 113(g)(2) for any sign of the statute precluding the award of declaratory relief based solely on future liability, these federal courts refuse to find that section 113(g)(2) should foreclose the possibility of a declaration of liability. The potential repercussions of the American Promotional Events holding, the policies and purposes of CERCLA, and the fact that section 113(g)(2) never explicitly prohibits consideration of only future liability together suggest a tenable argument that declaratory relief is permissible for a plaintiff unable to prove section 107(a) costs. This circuit split illustrates that the conversation has been limited regarding the issue of declaratory relief based only on future liability. Until the Ninth Circuit devoted an entire opinion to the question, federal courts had given little attention to explaining their holdings. Plaintiffs seek declaratory relief for future liability for a variety of factual reasons, and placing an unnecessary burden on these plaintiffs, especially innocent parties, discourages private party cleanup and ultimately punishes the wrong party. Based on both the plain language of section 113(g)(2) and the broader purposes of CERCLA, a plaintiff should be permitted to seek declaratory relief, even if that plaintiff has failed to satisfy the requirements of section 107(a). The plain language of section 113(g)(2) supports rather than hinders a plaintiff’s argument for a declaratory judgment. While section 113(g)(2) does not specifically detail who can obtain declaratory relief, it also does not suggest that there is any prerequisite that must be satisfied before receiving a declaratory judgment. As the First Circuit noted, the statute does not preclude consideration in the context of contribution nor does it preclude consideration of future response costs. The language simply applies to the issue of “liability for response costs or damages that will be binding on any subsequent action or actions to recover further response costs or damages.” This is an important limitation: declaratory relief is limited to the issue of liability. While the defendant is considered liable, this does not necessarily mean the defendant will have to pay. The plaintiff will still have to prove, at a later time, that these future costs are necessary and consistent with the NCP. Moreover, the Ninth Circuit’s reading of section 113(g)(2) is somewhat contrived. By concluding that the declaratory judgment refers to the present action—that is, that the plaintiff must show that it has presently incurred response costs—the court ignores the second half of the clause. The declaratory judgment “on liability for response costs or damages” may not refer to costs already incurred, but simply to the fact that it “will be binding on any subsequent action or actions to recover further response costs or damages.” At the very least, this suggests that the language is not clear, and it certainly does not indicate that past costs are a requirement for a declaration of future liability. The Ninth Circuit also fails to compare section 113(g)(2) with section 107(a) and its purposes. By adhering to the “elemental canon of statutory construction” that courts should hesitate to read additional remedies into a statute, the court fails to consider the context of the overall statutory scheme. Just as the First Circuit compared section 113(g)(2) with section 113(f), ultimately concluding that section 113(g)(2) supports the allowance of a declaratory judgment for future liability, section 107(a) should also be considered and compared with section 113(g)(2). Section 107(a) requires a showing of necessary and NCP-consistent response costs; this purpose is not contravened, however, by allowing a declaration as to future liability since the plaintiff will still have to show that these future costs were necessary and consistent with the NCP. Thus, there is no reason to require a plaintiff “to come to court only after demonstrating its commitment to comply with the NCP and undertake a CERCLA-quality cleanup.” A plaintiff who obtains a declaratory judgment can then undertake the CERCLA cleanup, bolstered with some incentive to comply with the NCP, and ultimately still have the burden to show its cleanup was “CERCLA-quality.” Thus, the plain language of section 113(g)(2) does not preclude consideration of a declaration for future liability only. CERCLA’s broad remedial purposes are best served when the statute is liberally interpreted. In nearly all of these cost recovery actions the federal courts give a cursory overview of CERCLA’s purposes, ultimately concluding that some other interest overrides them. But more consideration should be given to CERCLA’s goals. First and foremost, “CERCLA was intended to encourage quick response and to place the costs on those responsible.” Declaratory relief supports this central tenet because “all [involved] parties . . . will know their share of costs before they are incurred.” Thus, when a plaintiff cannot show that past response costs are recoverable, allowing for a declaration of future liability puts the defendant on notice about the potential for future damages or costs. In CERCLA actions in which plaintiffs struggle to locate PRPs—especially solvent PRPs—a declaratory judgment permits the defendant to plan ahead. As the Ninth Circuit noted, “The more liability can be limited and quantified, the more practical it is for a party to budget and borrow to finance it.” Ultimately, this places the costs on the responsible party and allows the PRP to plan accordingly. Also, “[e]arly determination of a defendant’s liability for as yet unproven CERCLA-cognizable costs . . . can speed the settlement process and thus promote Congress’s goal of encouraging private parties to undertake and fund expedited CERCLA cleanups.” By refusing to grant a declaratory judgment for future liability, federal courts discourage private parties from further cleanup of these waste sites. What incentive is there for a plaintiff to continue to clean up the contaminated site when the court has refused to determine future liability? Congress also intended to prevent relitigation of these issues, and such a goal is distorted when a court requires the plaintiff to come to court again to establish the issue of liability. This distinction also creates an unfair dividing line between the plaintiff who has expended a nominal and recoverable amount, and the plaintiff who has not expended a recoverable amount or any amount yet. Allowing a plaintiff to seek a declaratory judgment “[a]s soon as [the plaintiff] expended its first dollar,” is really no different from allowing the same for a plaintiff who has not expended its first dollar (or at least its first NCP-consistent dollar). Ultimately, the responsible party should be declared liable because that party released a hazardous substance, and allowing that party to evade liability based on the plaintiff’s failure to respond in accordance with the NCP undermines basic notions of fairness. When a plaintiff does incur future costs that are NCP consistent, and never obtained a declaratory judgment from the court in the earlier action, the plaintiff is forced to shoulder the burden of costs without any assurance that the PRP will be held liable. Moreover, as the First Circuit articulated in United States v. Davis, distribution of liability helps to alleviate the burden on a plaintiff who would otherwise have to pay for the entire cleanup “before getting a determination regarding the shares attributable to the other PRPs.” As mentioned earlier, this justification applies more powerfully when an innocent plaintiff is involved in a section 107(a) action. Why should a private party incur all of the cleanup costs before obtaining a declaration of liability? What incentive is there for a plaintiff to either begin or finish the cleanup process? If future costs are not speculative in the context of section 107(a), they are no more so when a plaintiff has not yet incurred recoverable response costs and simply seeks a declaration of liability. Therefore, the overall purposes and goals of CERCLA are best served by allowing a plaintiff to obtain a declaration of future liability even when that plaintiff has failed to show past response costs under section 107(a). Obtaining declaratory relief under section 113(g)(2) is mandatory when a plaintiff successfully shows incurred response costs under section 107(a). This Comment focuses on the fact that there is no requirement in the statutory text of section 113(g)(2) that prohibits plaintiffs from solely seeking a declaration of a PRP’s liability for future costs, especially when those future costs look certain. While a declaratory judgment is typically awarded at the court’s discretion under the Declaratory Judgment Act, Congress has provided for mandatory declaratory relief in CERCLA actions under section 113(g)(2). Such a rule allows for expedited responses and settlement, and encourages private parties to clean up according to the NCP after the defendant is declared liable, thereby serving CERCLA’s broader purposes. It also puts PRPs on notice of their liability and the possibility that they will have to reimburse the private party plaintiff, allowing the PRP to plan ahead. CERCLA—and specifically the NCP, since it appears to hinder most of these section 107(a) actions—should not encumber a plaintiff’s choice to voluntarily clean up. Without allowing for the possibility of declaratory relief, there is no incentive for a plaintiff to continue or begin the cleanup process. Why should an innocent party pay for the entire cleanup process before obtaining declaration of the responsible party’s liability? The statute does not explicitly require this, nor should the federal courts. The Ninth Circuit interpreted section 113(g)(2) narrowly, ignoring the important fact that no matter what, at some point, the private party plaintiff will have to show that these future costs were in fact necessary and consistent with the NCP. There is no blank check for the private party plaintiff, but there should be declaratory relief.
. Comprehensive Environmental Response, Compensation, and Liability Act, Pub. L. No. 96-510, 94 Stat. 2767 (1980) (codified as amended at 42 U.S.C. §§ 9601–9675 (2006)).
. Richard L. Revesz, Environmental Law and Policy 630–31 (2008).
. See infra notes 12–15 and accompanying text.
. Amoco Oil Co. v. Borden, Inc., 889 F.2d 664, 667–68 (5th Cir. 1989).
. Section 113(g)(2) is codified as amended at 42 U.S.C. § 9613(g)(2). However, this Comment will refer to the provision as section 113(g)(2). Likewise, 42 U.S.C. §§ 9607(a) and 9613(f) will be referred to as sections 107(a) and 113(f), respectively.
. See Reichhold, Inc. v. U.S. Metals Ref. Co., 522 F. Supp. 2d 724, 729 (D.N.J. 2007) (explaining that the entry of a declaratory judgment is mandatory in a section 107(a) cost-recovery action).
. See City of Colton v. Am. Promotional Events, Inc.-W., 614 F.3d 998, 1006–07 (9th Cir. 2010) (describing the current circuit split).
. 28 U.S.C. §§ 2201–2202 (2006).
. See Skelly Oil Co. v. Phillips Petroleum Co., 339 U.S. 667, 671–72 (1950) (finding that the Declaratory Judgment Act does not alter the jurisdictional requirements of federal courts).
. See infra Part I.B.1.
. Richard L. Revesz & Richard B. Stewart, The Superfund Debate, in Analyzing Superfund: Economics, Science, and Law 3, 6–7 (Richard L. Revesz & Richard B. Stewart eds., 1995).
. 42 U.S.C. § 9607(a)(4)(A)–(D) (2006).
. § 9607(a)(1)–(4) (noting that PRPs can include prior owners and operators, generators, transporters, and current owners).
. City of Colton v. Am. Promotional Events, Inc.-W., 614 F.3d 998, 1002–03 (9th Cir. 2010) (citations omitted) (quoting Carson Harbor Vill., Ltd. v. Unocal Corp., 270 F.3d 863, 870–71 (9th Cir. 2001) (en banc), cert. denied, 131 S. Ct. 646 (2010)).
. United States v. Davis, 261 F.3d 1, 29 (1st Cir. 2001).
. Am. Promotional Events, 614 F.3d at 1007.
. PMC, Inc. v. Sherwin-Williams Co., 151 F.3d 610, 616 (7th Cir. 1998).
. Boeing Co. v. Cascade Corp., 207 F.3d 1177, 1191 (9th Cir. 2000).
. PMC, Inc., 151 F.3d at 616.
. United States v. Hardage, 982 F.2d 1436, 1445 (10th Cir. 1992).
. Superfund Amendments and Reauthorization Act of 1986, Pub. L. No. 99-499, 100 Stat. 1613 (codified as amended in scattered sections of 42 U.S.C.). The amendment states: “Section 113 of CERCLA is amended by adding the following new subsection[:] (1) CONTRIBUTION.—Any person may seek contribution from any other person who is liable or potentially liable under section 107(a), during or following any civil action under section 106 or under section 107(a).” Id. § 113.
. United States v. Atl. Research Corp., 551 U.S. 128, 138 (2007).
. Davis, 261 F.3d at 29. But see Atl. Research Corp., 551 U.S. at 139 (noting that the three-year statute of limitations period for contribution actions under section 113(f) differs from the six-year statute of limitations for cost-recovery actions).
. Id. See also Davis, 261 F.3d at 46 (“The statute does not explicitly provide for declaratory relief for a contribution action [but] nothing in the statute precludes an interpretation that declaratory relief is available in both instances.”).
. Boeing, 207 F.3d at 1191.
. See, e.g., Kelley v. E.I. DuPont de Nemours & Co., 17 F.3d 836, 844 (6th Cir. 1994) (“The fact that future costs are somewhat speculative is ‘no bar to a present declaration of liability.’” (quoting United States v. Fairchild Indus., Inc., 766 F. Supp. 405, 415 (D. Md. 1991))).
. See Consol. Edison Co. of N.Y., Inc. v. UGI Utils., Inc., 423 F.3d 90, 95 (2d Cir. 2005) (holding that subject matter jurisdiction only existed under section 107(a)).
. Sun Co. v. Browning-Ferris, Inc., 124 F.3d 1187, 1192 (10th Cir. 1997).
. See id. at 1191.
. Union Carbide Corp. v. Thiokol Corp., 890 F. Supp. 1035, 1051 (S.D. Ga. 1994).
. Rockwell Int’l Corp. v. IU Int’l Corp., 702 F. Supp. 1384, 1389 (N.D. Ill. 1988).
. See, e.g., City of Colton v. Am. Promotional Events, Inc.-W., 614 F.3d 998, 1007 (9th Cir. 2010) (“Colton’s complaint referred to the Declaratory Judgment Act rather than CERCLA section 113(g)(2) . . . .”), cert. denied, 131 S. Ct. 646 (2010); United States v. Davis, 261 F.3d 1, 47 (1st Cir. 2001) (addressing “appellants’ arguments that the district court’s entry of a declaratory judgment was improper under the Declaratory Judgment Act”); see also Olin Corp. v. Consol. Aluminum Corp., 5 F.3d 10, 17 (2d Cir. 1993); Reichhold, Inc. v. U.S. Metals Ref. Co., 522 F. Supp. 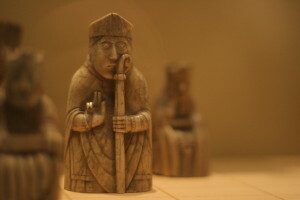 2d 724, 728 (D.N.J. 2007); Mercury Mall Assocs. v. Nick’s Mkt., Inc., 368 F. Supp. 2d 513, 520 (E.D. Va. 2005).
. 28 U.S.C. § 2201 (2006).
. Md. Cas. Co. v. Pac. Coal & Oil Co., 312 U.S. 270, 273 (1941).
. Davis, 261 F.3d at 46.
. See, e.g., Am. Promotional Events, 614 F.3d at 1007–08.
. 42 U.S.C. § 9613(g)(2) (2006) (requiring that “the court shall enter a declaratory judgment” for future liability (emphasis added)).
. Reichhold, Inc., v. U.S. Metals Ref. Co., 522 F. Supp. 2d 724, 729 (D.N.J. 2007).
. See supra notes 24–30 and accompanying text.
. See, e.g., Olin Corp. v. Consol. Aluminum Corp., 5 F.3d 10, 17 (2d Cir. 1993); Reichhold, Inc., 522 F. Supp. 2d at 728; Mercury Mall Assocs. v. Nick’s Mkt., Inc., 368 F. Supp. 2d 513, 520 (E.D. Va. 2005).
. Wickland Oil Terminals v. Asarco, Inc., 792 F.2d 887, 893 (9th Cir. 1986) (quoting 28 U.S.C. § 2201 (2006)).
. United States v. Davis, 261 F.3d 1, 48 (1st Cir. 2001).
. See John F. Duffy, Administrative Common Law in Judicial Review, 77 Tex. L. Rev. 113, 163–64 (1998) (“The injunctive and declaratory judgment remedies are discretionary, and courts traditionally have been reluctant to apply them to administrative determinations unless these arise in the context of a controversy ‘ripe’ for judicial resolution.”). But see Reichhold, Inc., 522 F. Supp. 2d at 729 (holding that the entry of a declaratory judgment is “mandatory” in a section 107(a) cost-recovery action).
. See Flast v. Cohen, 392 U.S. 83, 96 (1968) (finding the rule against advisory opinions to be rooted in Article III of the U.S. Constitution).
. See Aetna Life Ins. Co. v. Haworth, 300 U.S. 227, 239–40 (1937) (explaining that the “case or controversy” language in the Declaratory Judgment Act “manifestly has regard to the constitutional provision”); Henry H. Gu, The Hatch-Waxman Act and the Declaratory Judgment Action: Constitutional and Practical Implications, 57 Rutgers L. Rev. 771, 785 (2005) (“The Court has observed that the Declaratory Judgment Act of 1934 was adjudged to be constitutional only by interpreting its provision requiring a case of ‘actual controversy’ as confining the declaratory remedy within conventional ‘case or controversy’ limits.”).
. Raymond W. Beauchamp, England’s Chilling Forecast: The Case for Granting Declaratory Relief To Prevent English Defamation Actions from Chilling American Speech, 74 Fordham L. Rev. 3073, 3097 (2006).
. City of Colton v. Am. Promotional Events, Inc.-W., 614 F.3d 998, 1004 (9th Cir. 2010), cert. denied, 131 S. Ct. 646 (2010).
. Id. at 1005 (alteration in original) (quoting Wickland Oil Terminals v. Asarco, Inc., 792 F.2d 887, 893 (9th Cir. 1986)).
. Cal. ex rel. Cal. Dep’t of Toxic Substances Control v. Neville Chem. Co., 358 F.3d 661, 668 n.4 (9th Cir. 2004).
. See supra notes 50–52 and accompanying text.
. Am. Promotional Events, 614 F.3d at 1006.
. Id. (quoting Staacke v. U.S. Sec’y of Labor, 841 F.2d 278, 280 (9th Cir. 1988)); see also Skelly Oil Co. v. Phillips Petroleum Co., 339 U.S. 667, 671–72 (1950) (explaining that the Declaratory Judgment Act is a procedural statute, not an independent basis of federal jurisdiction).
. Id. (quoting Cement Masons Health & Welfare Trust Fund for N. Cal. v. Stone, 197 F.3d 1003, 1008 (9th Cir. 1999)).
. 28 U.S.C. § 2201 (2006) (requiring a “case of actual controversy” in order for there to be federal jurisdiction).
. Hinck v. United States, 550 U.S. 501, 506 (2007) (quoting EC Term of Years Trust v. United States, 550 U.S. 429, 433 (2007)).
. Am. Promotional Events, 614 F.3d at 1007–08.
. See supra note 15 and accompanying text.
. See Am. Promotional Events, 614 F.3d at 1007.
. See United States v. USX Corp., 68 F.3d 811, 819 (3d Cir. 1995) (“In providing for the recovery of response costs, Congress included language to insure that a responsible party’s liability, once established, would not have to be relitigated . . . .” (quoting Kelley v. E.I. DuPont De Nemours & Co., 17 F.3d 836, 844 (6th Cir. 1994))).
. Am. Promotional Events, 614 F.3d at 1004.
. Id. at 1007 (quoting 42 U.S.C. § 9613(g)(2) (2006)).
. Id. (quoting Transamerica Mortg. Advisors, Inc. v. Lewis, 444 U.S. 11, 19–20 (1979)).
. The NCP “establish[es] procedures and standards for responding to releases of hazardous substances.” 42 U.S.C. § 9605(a) (2006); see also PMC, Inc. v. Sherwin Williams Co., 151 F.3d 610, 616 (7th Cir. 1998) (finding that the purpose of requiring public comment is to ensure “that the remedial measures undertaken hopefully at the expense of someone else are not excessive or otherwise improvident”); Cnty. Line Inv. Co. v. Tinney, 933 F.2d 1508, 1513 (10th Cir. 1991) (“To be consistent with the NCP for the purpose of cost-recovery under section 107 of CERCLA, [private party] responses must, as appropriate, address the full range of [remedial] alternatives outlined in § 300.68(f), as well as comply with all other [remedy selection] provisions of § 300.68(e) through (i). Such responses also must provide an opportunity for appropriate public comment. This public comment must be consistent with § 300.67(d).”); 40 C.F.R. pt. 300 (2010). But see James R. Deason, Note, Clear As Mud: The Function of the National Contingency Plan Consistency Requirement in a CERCLA Private Cost-Recovery Action, 28 Ga. L. Rev. 555, 577 (1994) (arguing that NCP consistency should be an element of damages and not an element of a plaintiff’s prima facie case for cost recovery under section 107(a)).
. Trimble v. Asarco, Inc., 232 F.3d 946, 950 (8th Cir. 2000).
. Id. at 958 n.15.
. Gussack Realty Co. v. Xerox Corp., 224 F.3d 85, 92 (2d Cir. 2000); see also Amoco Oil Co. v. Borden, Inc., 889 F.2d 664, 667 (8th Cir. 1989) (“Because of the complexity of CERCLA cases, which often involve multiple defendants and difficult remedial questions, courts have bifurcated the liability and remedial, or damages, phases of CERCLA litigation. In doing so, disputed factual and legal issues pertaining only to liability are resolved before deciding the more complicated and technical questions of appropriate cleanup measures and the proportionate fault of liable parties.”) (citations omitted).
. Gussack, 224 F.3d at 92.
. United States v. Occidental Chem. Corp., 200 F.3d 143 (3d Cir. 1999).
. See United States v. Davis, 261 F.3d 1, 46 (1st Cir. 2001); Cnty. Line Inv. Co. v. Tinney, 933 F.2d 1508, 1513 (10th Cir. 1991).
. Davis, 261 F.3d at 14.
. See supra notes 27–30 and accompanying text.
. Tinney, 933 F.2d at 1512 n.7 (noting the important difference between a private party plaintiff and the government, and the “lessened standard of proof under the statute”). Compare 42 U.S.C. § 9607(a)(4)(A) (stating that the government can recover “all costs of removal or remedial action incurred . . . not inconsistent with the national contingency plan”) (emphasis added), with § 9607(a)(4)(B) (stating that private parties can recover “necessary costs of response incurred . . . consistent with the national contingency plan”).
. Tinney, 933 F.2d at 1513.
. Davis, 261 F.3d at 46–47.
. Id. at 47 (quoting United States v. Davis, 31 F. Supp. 2d 45, 58 (D.R.I. 1998)).
. See Southland Corp. v. Ashland Oil, Inc., 696 F. Supp. 994, 1003 (D.N.J. 1988); T & E Indus. v. Safety Light Corp., 680 F. Supp. 696, 709 (D.N.J. 1988).
. T & E Indus., 680 F. Supp. at 709.
. Id. at 709 n.15.
. Southland, 680 F. Supp. at 1003.
. Id. (citing O’Neil v. Picillo, 628 F. Supp. 706, 730 (D.R.I. 1988)).
. United States v. Davis, 261 F.3d 1, 46 (1st Cir. 2001).
. 42 U.S.C. § 9613(g)(2) (2006).
. United States v. Hardage, 982 F.2d 1436, 1445 (10th Cir. 1992) (“[T]he entry of declaratory judgment on the issue of liability for future response costs is appropriate.”).
. City of Colton v. Am. Promotional Events, Inc.-W., 614 F.3d 998, 1008 (9th Cir. 2010), cert. denied, 131 S. Ct. 646 (2010).
. Am. Promotional Events, 614 F.3d at 1007–08 (quoting Transamerica Mortg. Advisors, Inc. v. Lewis, 444 U.S. 11, 19 (1979)); see also Dolan v. U.S. Postal Serv., 546 U.S. 481, 481 (2006) (“[I]nterpretation of a word or phrase depends upon reading the whole statutory text, considering the statute’s purpose and context.”).
. Am. Promotional Events, 614 F.3d at 1008.
. See, e.g., Steven Ferrey, Inverting the Law: Superfund Hazardous Substance Liability and Supreme Court Reversal of All Federal Circuits, 33 Wm. & Mary Envtl. L. & Pol’y Rev. 633, 703 (2009); Blake A. Watson, Liberal Construction of CERCLA Under the Remedial Purpose Canon: Have the Lower Courts Taken a Good Thing Too Far?, 20 Harv. Envtl. L. Rev. 199, 272–73 (1996).
. See Revesz & Stewart, supra note 12, at 7 (“Because significant periods of time—often several decades—can elapse between the disposal of hazardous substances and the cleanup, it is particularly likely that some PRPs will not be found or will be insolvent once they are found.”).
. Boeing, 207 F.3d at 1190.
. Cnty. Line Inv. Co. v. Tinney, 933 F.2d 1508, 1513 n.9 (10th Cir. 1991).
. Kelley v. E.I. DuPont de Nemours & Co., 17 F.3d 836, 844 (6th Cir. 1994) (“In providing for the recovery of response costs, Congress included language to ensure that a responsible party’s liability, once established, would not have to be relitigated . . . .”).
. See Cal. ex rel. Cal. Dep’t of Toxic Substances Control v. Neville Chem. Co., 358 F.3d 661, 668 n.4 (9th Cir. 2004).
. See Deason, supra note 97, at 590 (“Simply stated, a party that causes hazardous waste to be released into the environment is ‘responsible’ for that release regardless of whether it ultimately bears the costs associated with the remedy.”); see also Watson, supra note 147, at 286 (“CERCLA . . . is arguably the most remedial of all federal environmental statutes, since its controlling focus is to remedy the harmful effects of previously disposed hazardous wastes in order to preserve the public health and the environment.”).
. United States v. Davis, 261 F.3d 1, 47 (1st Cir. 2001) (quoting United States v. Davis, 31 F. Supp. 2d. 45, 58 (D.R.I. 1998)).
. See supra notes 21–22 and accompanying text.
. Reichhold, Inc., v. U.S. Metals Ref. Co., 522 F. Supp. 2d 724, 729 (D.N.J. 2007) (holding that the entry of a declaratory judgment is “mandatory” in a section 107(a) cost-recovery action).
. Wilton v. Seven Falls Co., 515 U.S. 277, 282 (1995) (“[D]istrict courts possess discretion in determining whether and when to entertain an action under the Declaratory Judgment Act, even when the suit otherwise satisfies subject matter jurisdictional prerequisites.”). * J.D. Candidate, May 2012, Wake Forest University School of Law. The author would like to thank Professor Richard Schneider and the members of the Wake Forest Law Review for their assistance on this Comment, and her family for all of their love and support.